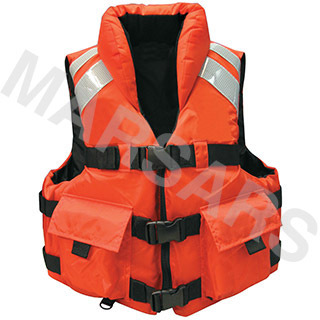 Large arm holes for mobility. 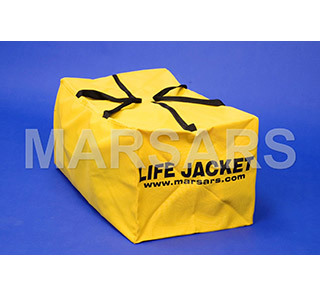 Provide evacuees with properly sized PPE jackets. 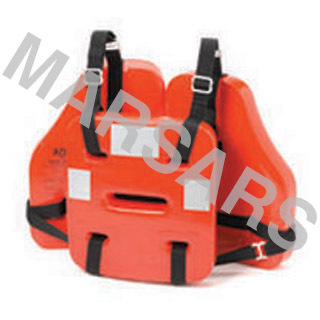 Carried to cut accident victim’s seatbelts of partially submerged motor vehicles. 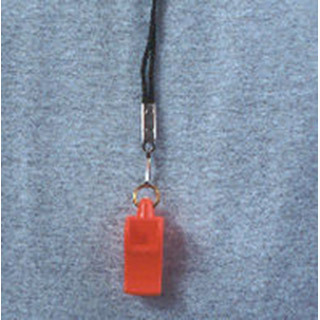 Tethered to prevent loss. 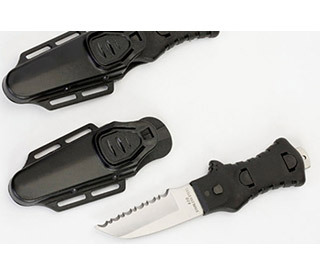 Ball attached blade facilitates one hand opening. 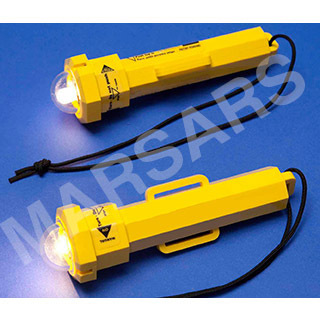 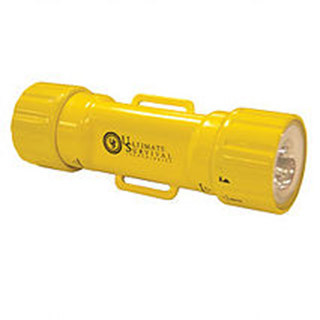 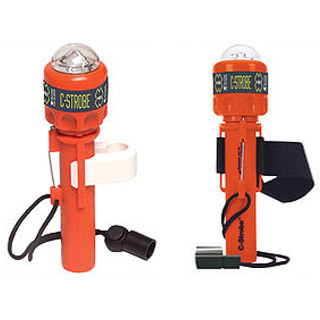 LED Personal Locator Light with a 37 lumen flashlight on one end and a 45 lumen strobe on the other. 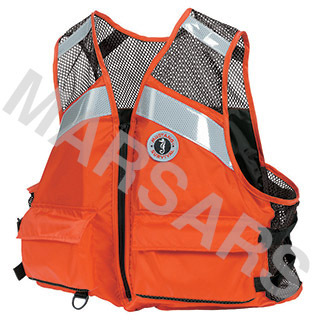 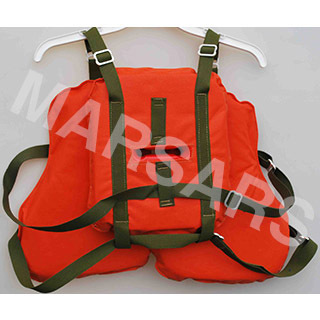 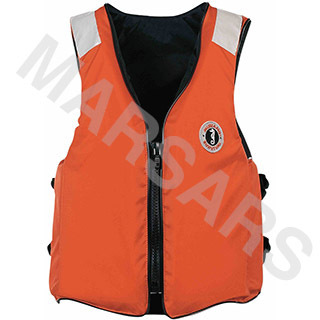 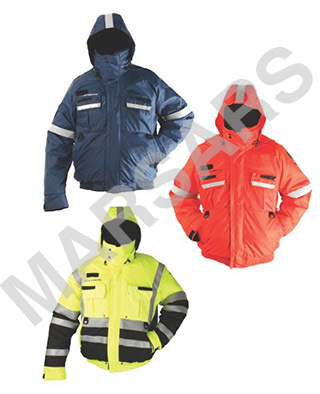 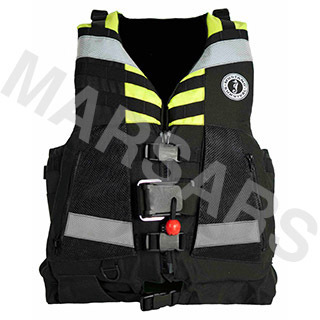 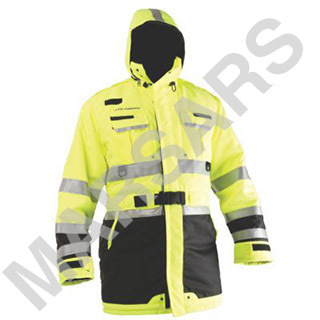 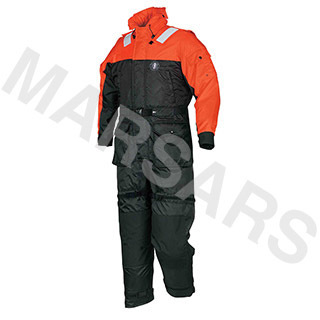 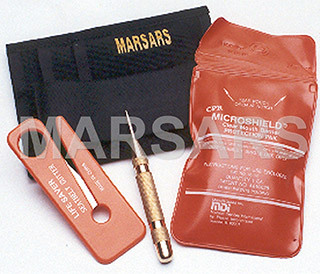 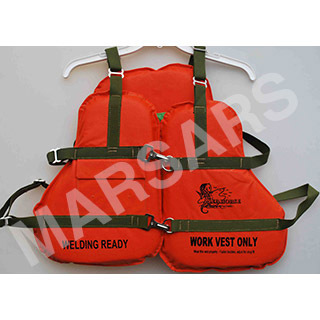 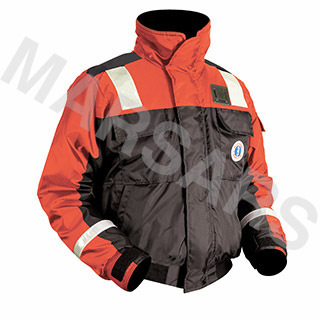 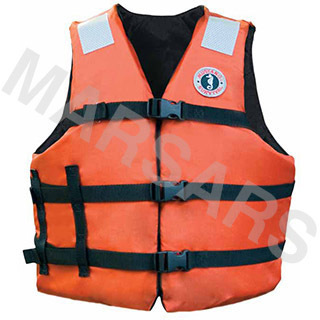 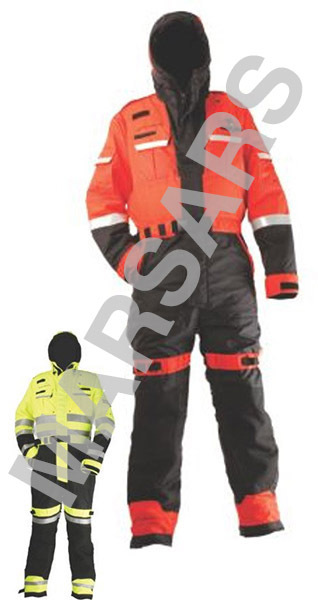 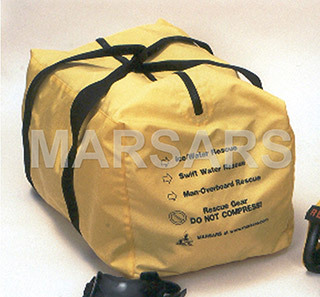 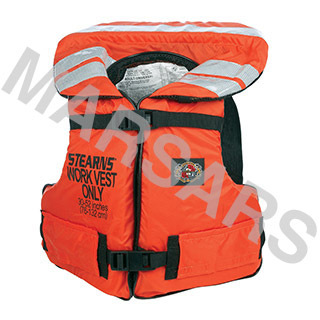 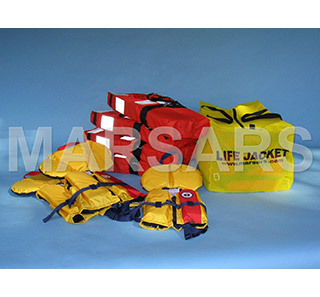 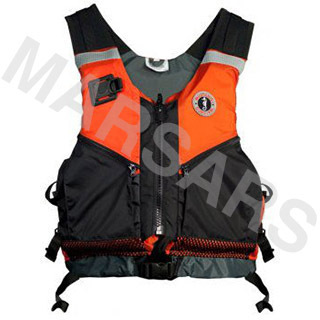 Outfit all PPE flotation gear with means for emergency signaling. 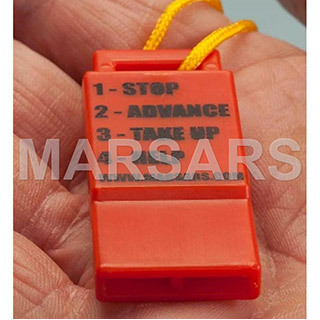 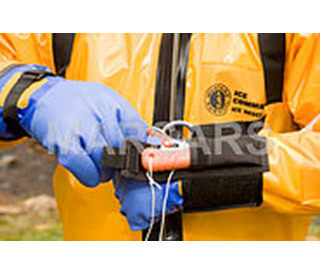 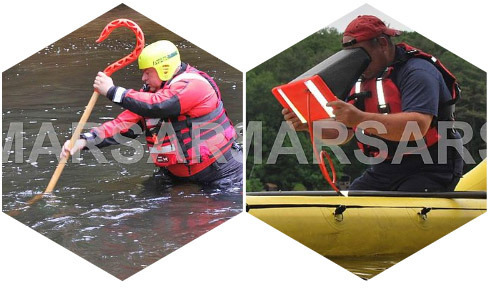 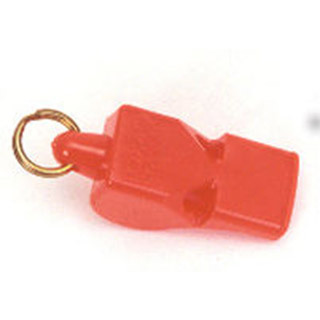 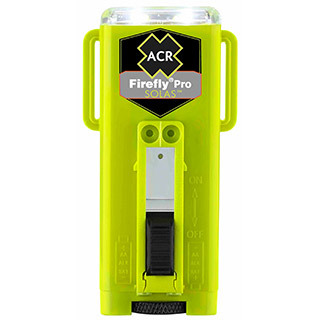 Whistle features imprinted ice rescue whistles signals for STOP, ADVANCE, TAKE UP, and HELP.